The Kimba Cross is the perfect companion for long distances, on uneven surfaces or for walks in the woods. 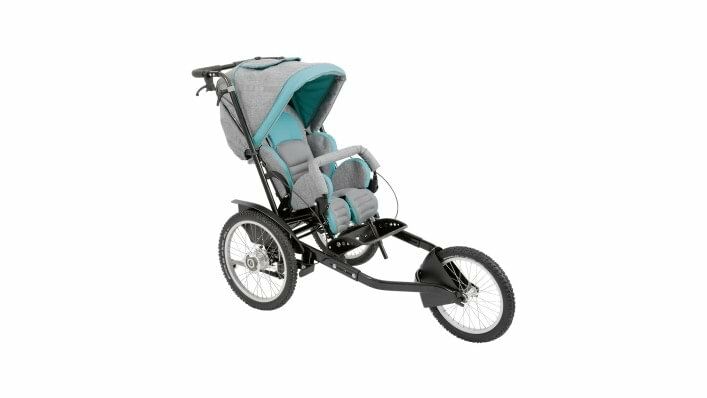 Thanks to its foldable mobility base, you can easily transport the Kimba by simply folding it together or disassembling it. 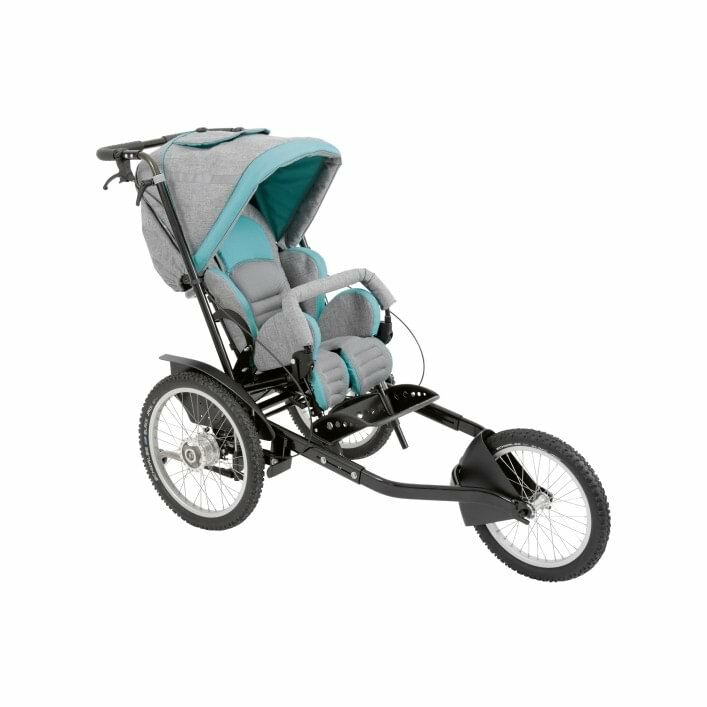 Three large wheels with BMX tyres, the drum brake and the elastomer suspension system are included in this sporty rehab buggy’s standard equipment. It can be combined with various seating solutions for customised comfort. We also offer you convenient add-on options for a wide range of different activities.